This week I encountered some troubles connecting from my local machine to a domain-joined server with PowerShell. test-wsman : <f:WSManFault xmlns:f=”http://schemas.microsoft.com/wbem/wsman/1/wsmanfault” Code=”2150858974″ Machine=”XXXX.XXXX.XXXX”><f:Message>The WinRM client cannot process the request. Unencrypted traffic is currently disabled in the client configuration. Change the client configuration and try the request again. New-PSSession : [remote.host] Connecting to remote server remote.host failed with the following error message : The WinRM client cannot process the request. The authentication mechanism requested by the client is not supported by the server or unencrypted traffic is disabled in the service configuration. Verify the unencrypted traffic setting in the service configuration or specify one of the authentication mechanisms supported by the server. To use Kerberos, specify the computer name as the remote destination. Also verify that the client computer and the destination computer are joined to a domain. To use Basic, specify the computer name as the remote destination, specify Basic authentication and provide user name and password. Possible authentication mechanisms reported by server: For more information, see the about_Remote_Troubleshooting Help topic. 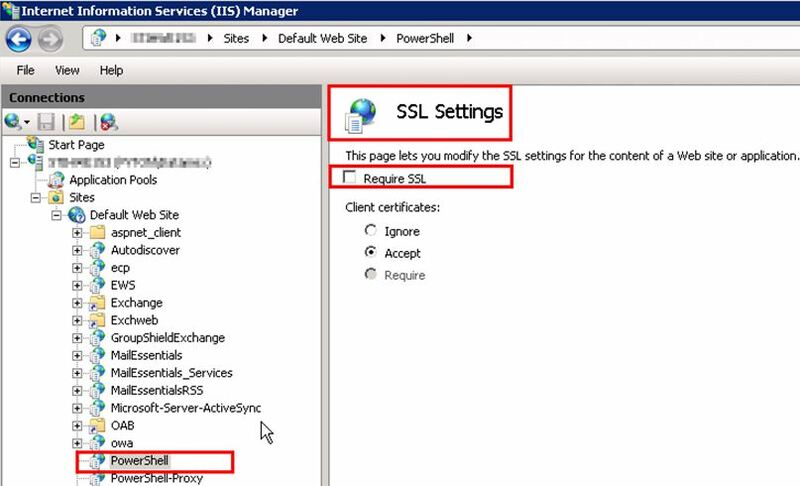 The last step I took to make it working was checking and changing IIS settings on the Remote Host. 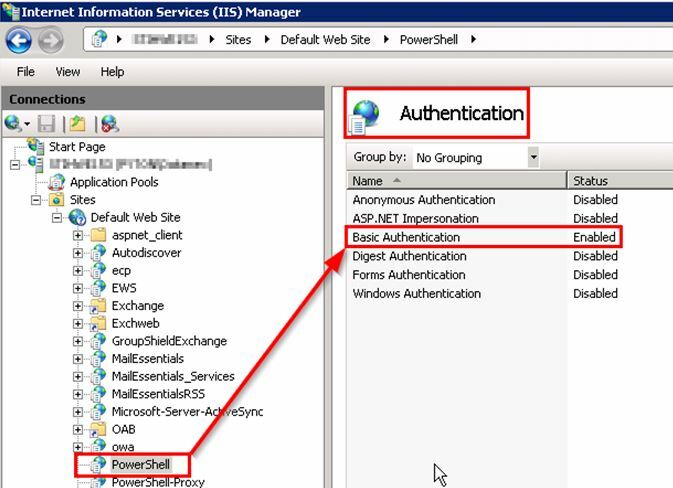 You should check the PowerShell Virtual Directory within IIS to see what Authentication options are enabled, and to make sure the server is not requiring an SSL connection. It might not be the fastest or most safe way to go, but in this case the remote host was an Exchange server being migrated to Office 365. Installing the Management Framework 3.0 was the first thing I tried, but the server had to reboot which couldn’t be done since the Exchange server was still in production.